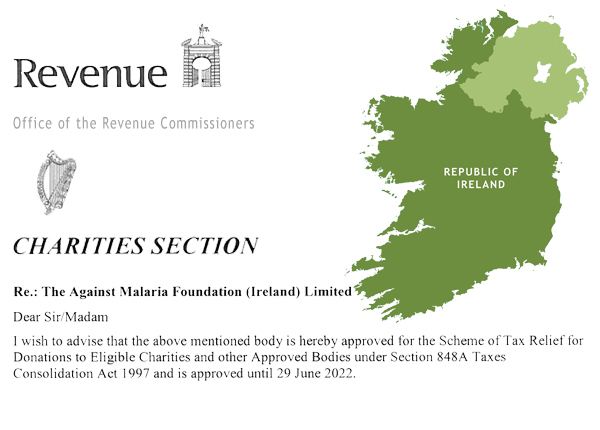 We are delighted to say AMF now has tax deductible status for donors in Ireland! AMF (Ireland) has been granted Charitable Donation Scheme (CDS) status effective 01 January 2017 by Ireland's Office of the Revenue Commissioner, Charities Section, so any donations made to AMF (Ireland) on or after that date can be considered tax deductible by the donor. Note: All online donations from Irish residents (as identified by the credit or debit card address being in Ireland) are automatically to AMF (Ireland). For those wishing to make donations by bank transfer or cheque, the relevant bank account and address information can be found on our donations page.